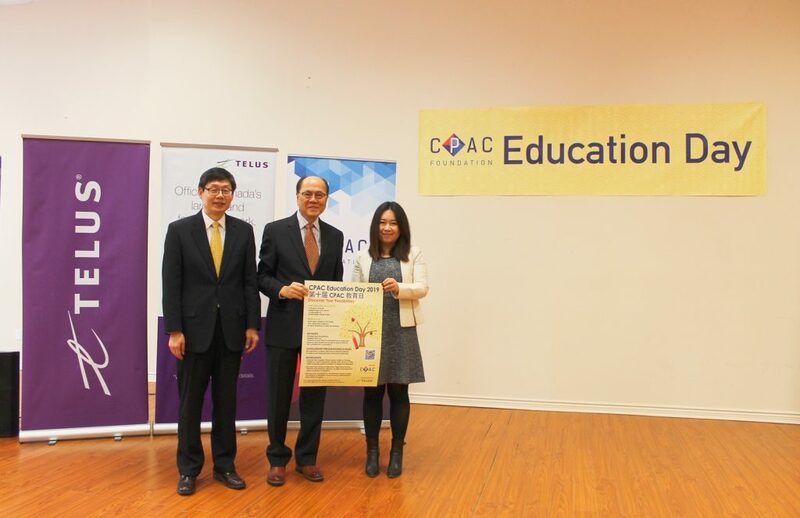 February 12, TORONTO – CPAC Foundation announced at the press conference today that the 10th CPAC Education Day will be held on March 2, 2019 at Scarborough Civic Centre. The theme of this year’s Education Day is: Discover Your Possibilities. Simu Liu, a Canadian Screen Award-nominated actor, writer and producer, best known for his role as Jung on the hit CBC comedy Kim’s Convenience, will be this year’s keynote speaker. Liu’s keynote presentation will draw from his own experiences as an immigrant to Canada as a child and his relationship with his parents to illustrate the challenges he faced discovering his own possibilities and ultimate success. He will touch upon improving communication between immigrant parents and their Canadian educated children, how immigrant parents can help their kids develop their own possibilities through wiser education and career choices, and the value of maintaining Chinese culture and family upbringing within a Canadian context. Eight CPAC Scholarships and Awards of year 2018 will be presented at Education Day. The recipients who have achieved academic excellence and demonstrated social responsibility and community leadership will share their success stories. 1. Discover the Canadian School System: Public vs. Private, English vs. French Immersion, Gifted, TOPS, IB, AP or STEM, presented by a panel of teachers, parent & student in English and Mandarin. 2. Discover Your Choices in Education: High School Course Selection and University Selection, presented by a high school teacher & career counsellor in Mandarin. 3. Discover Your Possibilities in A Profession: Doctor, Lawyer, Accountant, or Marketer? Presented by a panel of senior professionals in these fields in English. CPAC Foundation wishes to thank all the donors and sponsors of this event, particularly the Presenting Sponsor TELUS. The 10th Education Day is open to the public. Pre-register at https://www.cpac-canada.ca/2019eday/ for free entry. Light refreshments will be provided, and lucky draws will be open for all the participants.